Pacific Coast Corvettes is a non-profit corporation founded in 1989 as a club whose members own and enjoy Corvette sports cars. 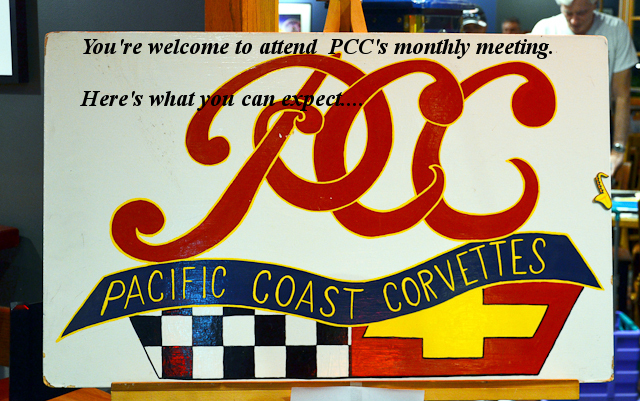 PCC is dedicated to its members! Our operating principle is to offer equal status to all members. We want each member to feel he (or she) is an integral part of the club, whether his interest is in showing, touring, restoring, modifying, socializing, or competing.